NEW YORK - May 23, 2016 - PRLog -- Renaming one of the most heralded grounds in Spanish football is a bit like renaming a pop idol -- you run the risk that an adoring public will never rewrite history. So what risk does a brand run of FC Barcelona's home consistently being referred to as "the ground formerly known as Camp Nou?" 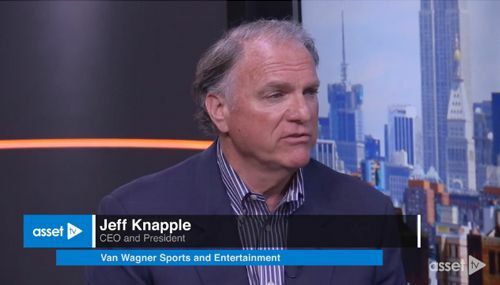 Van Wagner Sports & Entertainment CEO Jeff Knapple is undaunted. He is the man tasked with selling the naming rights in what will perhaps be the biggest deal in sports history. With freedom of player movement that Knapple likened to the "wild west," teams have raked in cash to pay astronomical transfer fees. "The bottom line as a fan of Barcelona is that you want to put the best product on the pitch, on the field, at any given time, and in order to do so, you need to have the most money," Knapple said in an interview last week. That being said, fans or 'socios' have an unprecedented say in Barcelona's day-to-day operations (they own the club, and can elect its leadership), and more considerations beyond price tag will be factored into the mix. "There will be a cultural vision, there will be a philosophical vision with the club and how they approach their business, their market, Catalonia itself, how that fits into Spain and let alone European football and global football," Knapple said. FC Barcelona's stadium naming rights deal will come with a host of opportunities and assets for the right buyer. Camp Nou will have thousands of seats added (it's already Europe's largest stadium), in addition to a new basketball arena and open-air terraces. Knapple says that 4.5 million visitors come to the football mecca on non-match days, browsing the team's museum and taking a peak into the opposition locker rooms. While global soccer has unprecedented fervor (Barcelona's registered fan base is ten times the size of the Dallas Cowboys'), stadium naming deals have not flowed easily. Knapple previously secured the Emirates sponsorship of Arsenal FC's new stadium, but not without significant financial red-tape. "It took [Arsenal] four to five years to put together the right kind of syndication model that the banks could lend against," Knapple said, "with the total issue being that they could possibly be relegated-and then what happens?" He said that Goldman Sachs seems to have figured out the model, and has led the way in both European and American stadium finance.